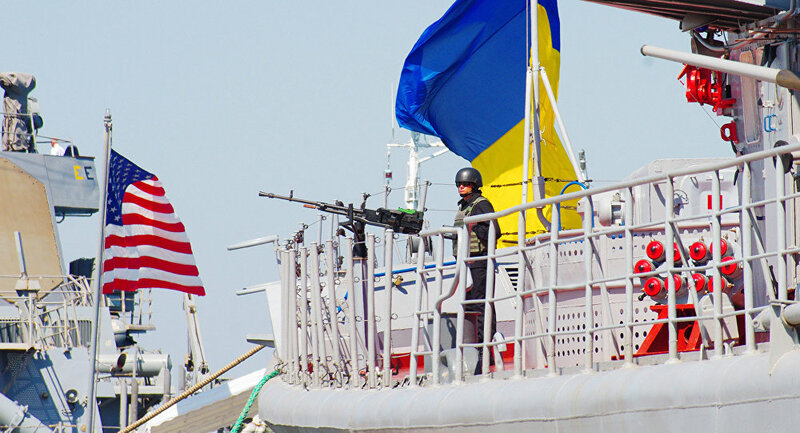 US-Ukraine Drills in Black Sea: Testing Russia or Just Playing 'Political Game'? The Russian Black Sea Fleet is carrying out a combat readiness exercise in Crimea and in the Black Sea with coastal and naval units being put on high alert, the press office of the Southern Military District reported Wednesday. 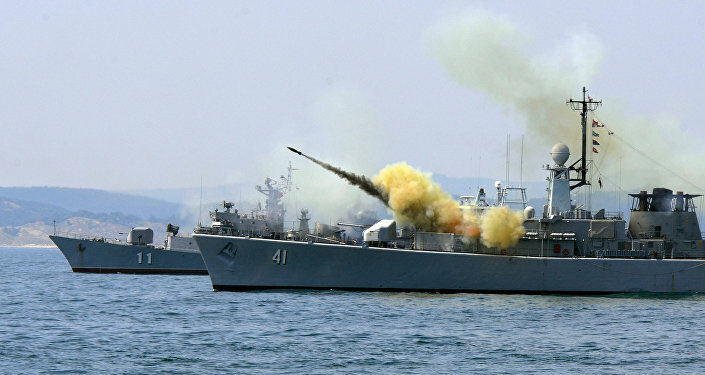 The report came amid the onjoing US-Ukraine joint naval war games in the Black Sea. "The exercises will test the ability of coastal units to operate at their permanent deployment areas in conditions of high alert, while the warships are being redeployed to maritime training ranges," the press service said in a statement. The current drills will continue for several days within the limits of the Black Sea Fleet's training ranges in and around the Crimean peninsula. Earlier this week, the Sea Breeze 2017 international naval exercise, involving the United States and Ukraine, kicked off in the Black Sea region. The war games involved representatives of military forces from a total of 17 states to practice a multinational naval security operation in a crisis region, according to a statement by the Ukrainian Defense Ministry. This year’s exercise is organized in the free play format and commanded by a headquarters established in accordance with NATO standards. The drills began on July 10 and will end on July 23. Over 30 warships and 25 aircraft and helicopters are involved in the drills. The US is represented by the USS Hue City missile cruiser, the USS Carney missile destroyer, a P-8A Poseidon anti-submarine plane and some 800 personnel. 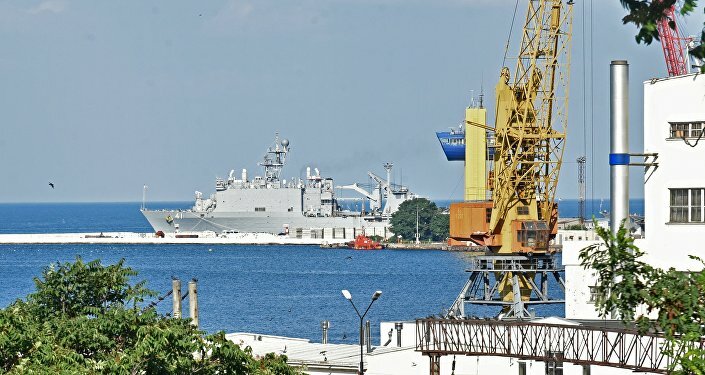 The port of Odessa also hosted several NATO warships, including a Turkish frigate and a Romanian corvette. Moreover, two NATO military transportation aircraft arrived in Odessa, carrying equipment and dozens of military specialists, including army divers. Like in previous years, the Sea Breeze 2017 includes naval maneuvers, practicing air defense, anti-submarine, search and rescue operations and are aimed at strengthening cooperation among allies to ensure stability in the Black Sea region. From the Ukrainian side, some 10 vessels are involved in the exercise. Rostislav Ishchenko, head of the Center for Systemic Analysis and Prognosis, pointed to the fact that in its current condition the Ukrainian Navy is not capable of taking part in a large-scale exercise. "In fact, today Ukraine doesn’t have a single warship in operation. Probably, Ukrainian sailors are using US and Romanian ships this year," Ishchenko told RT. "Ukraine repaired its frigate Hetman Sahaydachniy, but it broke down again as soon as it set sail. But it is the only capable warship with the Ukrainian Navy. The rest are small boats, a mosquito fleet," Russian military expert Capt. Dmitry Litovkin said in an interview with Radio Sputnik. Military analyst and journalist Sergei Chennyk pointed out that to a certain extent the combat readiness exercise of the Black Sea Fleet is related to the activities of Ukrainian and NATO naval forces in the Black Sea. At the same time, the expert underscored that the Sea Breeze is a regular exercise with a standard scenario. "At the same time, it is concerning that Ukraine is conducting joint drills with countries that are unfriendly to Russia. The presence of US warships near our border is not good for Russia," Chennyk told Radio Sputnik. According to him, a combat readiness exercise is an adequate move by Russia. "Of course, a combat readiness exercises of the Black Sea Fleet is an absolutely reasonable decision in such a complicated geopolitical reality. Such drills are useful for our navy. There is no threat for Russia but our military should always be on alert," Chennyk said. Earlier this week, a military source in Crimea told Sputnik that the Russian Black Sea Fleet is keeping an eye on the Sea Breeze exercise. "The Sea Breeze drills will be permanently monitored by the Black Sea Fleet, including with the use of aerial reconnaissance and ground-based stations," the source said. According to the source, the Black Sea Fleet will engage its reconnaissance assets until the end of the exercise. According to Ishchenko, the Sea Breeze 2017 drills pose absolutely no threat to Russia’s national security. 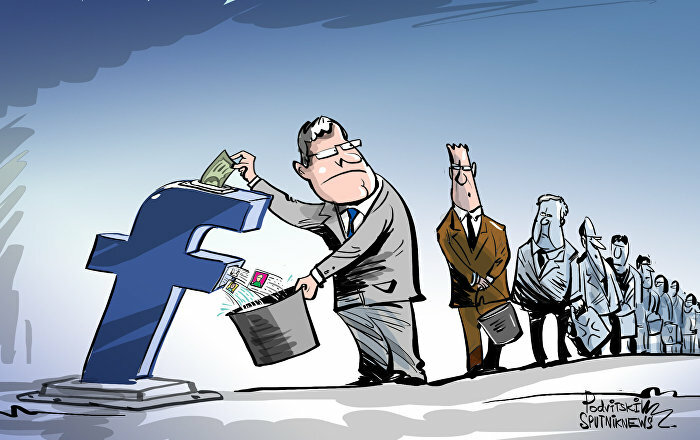 "This exercise is rather a diplomatic routine, than a real political instrument. There is an agreement [to hold these drills] and it has been implemented year after year, despite the fact that Ukraine doesn’t even have a fleet," the expert noted. Moreover, Ishchenko suggested that the drills are unlikely to result in a permanent deployment of a foreign military force in Ukraine. "This is a demonstrational move. They [NATO forces] want to show [to Russia] that they keep the region under control and want to do whatever they want. But in fact, this exercise is not a military threat to Russia," the expert concluded. According to Dmitry Evstafyev, a defense expert and professor at the Higher School of Economics, any US-Ukraine joint drills are of no interest either for Washington or for Moscow. For the Pentagon, such activities have become a heavy burden. 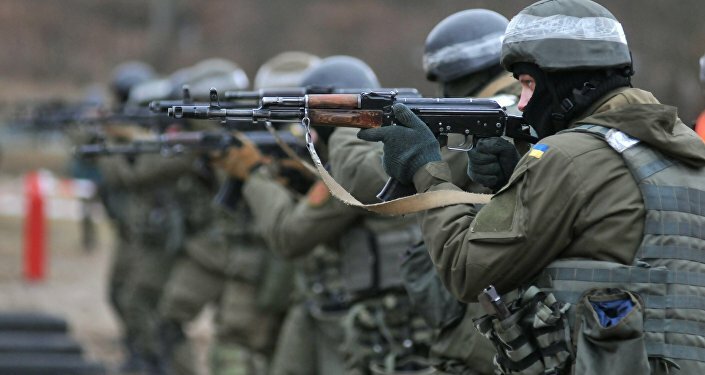 "Washington is already tired of showing its commitment to support Ukraine. But there is no use to do that. Moreover, the US has to pay for all of such spectacles," Evstafyev told RT. He also pointed out that the Sea Breeze exercise is nothing but a "bilateral political game" aimed at reaffirming the Kiev establishment of Washington’s support. US Has Not Ruled Out on Providing Arms to Ukraine - State Dept.